Hong Kong has been named as the top overseas relocation destination by young British professionals, in research carried out by one of the world’s largest independent financial advisory organisations. deVere Group, which has 80,000 clients in 100 countries globally and $10bn under advice and management, reports that in a recent poll 26 per cent of its UK-based clients under the age of 35 claimed that China’s Special Administrative Region would be their number one choice for relocation if they were to leave the UK. Of the 365 UK-based young professionals who were polled in this survey, 78 per cent said they have ‘seriously considered’, ‘are thinking about’, or ‘would be tempted’ to move overseas. 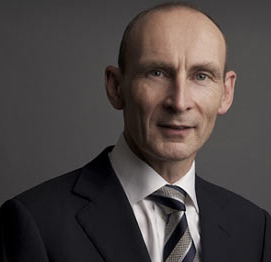 deVere Group’s founder and chief executive, Nigel Green, remarks: “Relocating overseas is always a big step and so the benefits and rewards for doing so need to be clearly identifiable and substantial. “Naturally, high achieving young professionals like those who participated in this survey, would be looking at global destinations that are perceived to offer the very best career and remuneration opportunities available; and preferably have a competitive tax rate in order to maximise their income whilst abroad. “Bearing these important ‘pull’ factors in mind, it makes perfect sense that Hong Kong and Dubai topped the poll for British professionals under 35. He continues: “Besides the top five overseas relocation destinations all being major international business hubs and having comparatively lower personal taxation than the UK, they also share other characteristics.